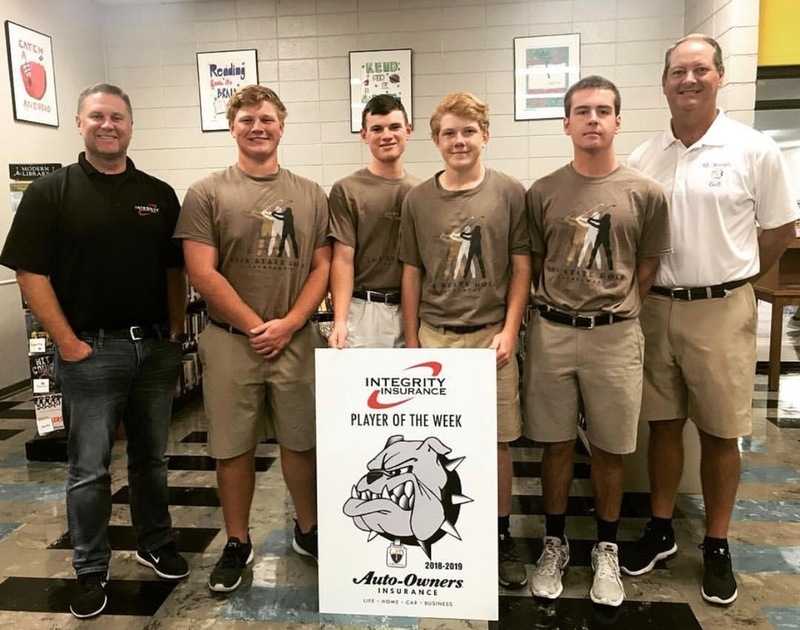 These four members of our high school Golf Team were actually chosen last week by Integrity Insurance. The photo was just received Thursday. Timmy Coney, Gus Longing, Collin Coney, and Luke Bruich were the "core four" who played in and won the State 2A Tournament on October 4. They're seen here with Head Coach Mike Prall and Integrity Insurance President Joey Fulgham.